Hiding behind the foothills north of Eagle is an area filled with poor soil, sandy loam, and few marks of a prime agricultural area. Despite an environment that would be hostile to many varieties of agriculture, it’s just what many varieties of popular wine grapes love, and they’re thriving at 3 Horse Ranch Vineyards. The resulting wines have been stellar, with the winery capturing about a dozen awards for the different varieties made from the grapes growing on this unlikely fertile plain. But the secret of this hidden gem — and about a dozen other vineyards in the region — is about to be revealed. Martha Cunningham of 3 Horse Ranch Vineyards has crafted a proposal to create the Eagle Foothills American Viticulture Area. Cunningham, who runs the roughly 60-acre vineyard with her husband Gary, has worked with experts in climate — specializing in wine grape-growing regions — and geosciences to establish the AVA. The designation identifies the place the grapes are sourced, and is primarily intended as a guide to the world of wine lovers. The unique terroir is what defines 3 Horse Ranch Vineyards wines, providing a story about who 3 Horse Ranch Vineyards is and why is it different from all other AVA’s throughout the world! The Eagle Foothills AVA would identify Gem and Ada counties and include all of the Willow Creek drainage, she said. It would encompass 13 vineyards in the area. “It’s a fantastic opportunity to show off what these hills—which no one looks at—have to offer. 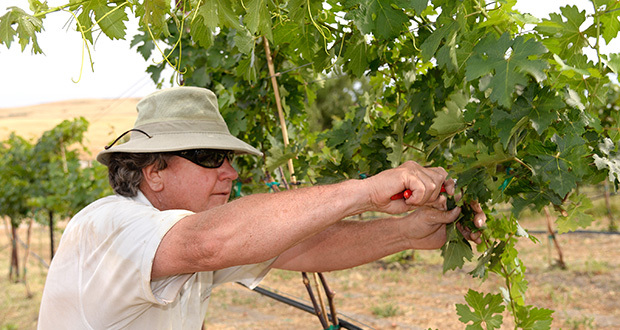 They are a fantastic grape growing location,” said Cunningham. The federal Tobacco Tax Bureau, which looked at the geology, geography, topography, climate, and history of this region, accepted the AVA proposal, Cunningham said. The proposal is pending approval, with a 60-day public comment period forthcoming. Approval should come after that—as soon as a year from now. “This will be great for Eagle” Gary Cunningham said. The ranch features 13 award-winning wines. 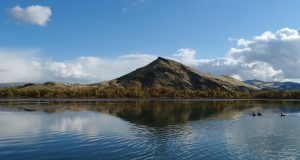 The brand, made by winemaker Greg Koenig from 3 Horse Ranch grapes, is sold in Idaho, Washington, Oregon, Montana, and Wyoming. Martha said the vineyard grows Bordeaux-style grapes with which to blend, along with Cabernet Sauvignon, Merlot, Petite Verdot, Malbec and some Cabernet Franc, among others. They also have some Rhone Valley grapes, including Syrah, Mourvedre, Viognier, Roussanne and Grenache. Martha tells me these grapes are used in a proprietary blends unique to the terroir. Get a taste of those blends with a visit to 3 Horse. 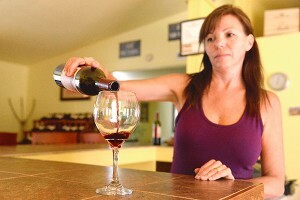 Visitors will find a small, homey tasting room, where friendly staff pours out ample samples. Among these is the popular 2013 Reserve “Vivacious,” which is “a lightly oaked, perfectly balanced blend of two great white Rhone-style grapes,” Viognier and Roussanne. It’s won a couple of silver medals from Sunset Magazine and has garnered high scores from Wine Enthusiast Magazine. Their reds include a 2011 Reserve Cabernet Sauvignon/Merlot and a 2011 Single Vineyard Cabernet Sauvignon. They also offer a 2012 Reserve Merlot, a 2011 Single Vineyard Syrah and a 2011 Reserve Syrah/Mourvedre that was named one of the most outstanding Rhone blends in the entire North West Wine industry. They offer a 2012 Reserve Rose and, on the white side, a 2013 Reserve Pinot Gris, a 2011 Reserve Reisling, 2012 Single Vineyard Chardonnay and 2012 Single Vineyard Pinot Gris. Their 2008 Single Vineyard Mourvedre, 2012 Malbec and 2011 Single Vineyard Sauvignon Blanc are only available in the tasting room. You can join the ranch’s Le Trois Vins Wine Club, where members get three selections per year of three wines, some of which are only available to members. They offer 15 percent discounts on current release bottle purchases and 20 percent discounts on current release case purchases. Members can also receive exclusive winery event invitations, winemaker dinners, and educational seminars. 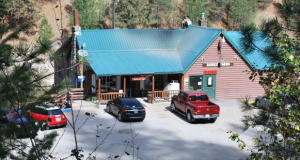 The club is a community of people with common interests that go beyond 3 Horse Ranch Vineyards. The vineyard offers an annual walk during the last Saturday of September for members only. Visitors learn about the vineyard and its programs and enjoy a catered barbeque lunch. The ranch also conducts a couple of wine dinners a year, with restaurants creating special five-to-six course menus that differ from the regular menu and offer food specially matched to complement the wines.